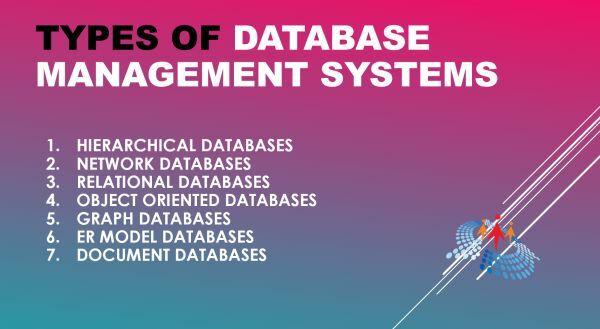 There are multiple types of database management systems such as relational database management system, object databases, graph databases, network databases, and document db. In this article, we discuss the types of Database Management Systems or DBMS. A database is a collection of data or records. Database management systems are designed to work with data. A database management system (DBMS) is a software system that uses a standard method to store and organize data. The data can be added, updated, deleted, or traversed using various standard algorithms and queries. 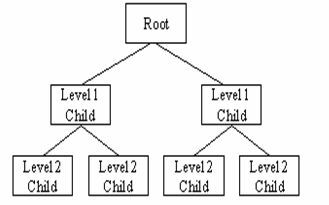 In a hierarchical database management systems (hierarchical DBMSs) model, data is stored in a parent-children relationship nodes. In a hierarchical database, besides actual data, records also contain information about their groups of parent/child relationships. 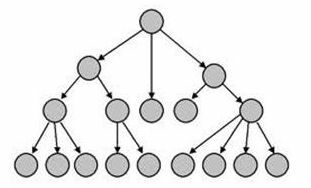 In a hierarchical database model, data is organized into a tree like structure. The data is stored in form of collection of fields where each field contains only one value. The records are linked to each other via links into a parent-children relationship. In a hierarchical database model, each child record has only one parent. A parent can have multiple children. To retrieve a field’s data, we need to traversed through each tree until the record is found. The hierarchical database system structure was developed by IBM in early 1960s. While hierarchical structure is simple, it is inflexible due to the parent-child one-to-many relationship. Hierarchical databases are widely used to build high performance and availability applications usually in banking and telecommunications industries. The IBM Information Management System (IMS) and Windows Registry are two popular examples of hierarchical databases. 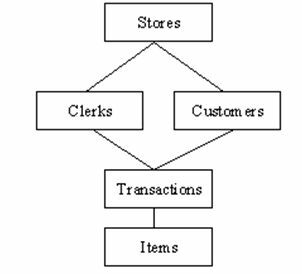 Hierarchical database can be accessed and updated rapidly because in this model structure is like as a tree and the relationships between records are defined in advance. This feature is a two-edged. This type of database structure is that each child in the tree may have only one parent, and relationships or linkages between children are not permitted, even if they make sense from a logical standpoint. Hierarchical databases are so in their design. it can adding a new field or record requires that the entire database be redefined. 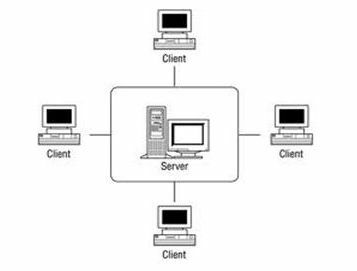 Network database management systems (Network DBMSs) use a network structure to create relationship between entities. Network databases are mainly used on a large digital computers. Network databases are hierarchical databases but unlike hierarchical databases where one node can have one parent only, a network node can have relationship with multiple entities. A network database looks more like a cobweb or interconnected network of records. In network databases, children are called members and parents are called occupier. The difference between each child or member can have more than one parent. The approval of the network data model is similar to a hierarchical data model. Data in a network database is organized in many-to-many relationships. The network database structure was invented by Charles Bachman. Some of the popular network databases are Integrated Data Store (IDS), IDMS (Integrated Database Management System), Raima Database Manager, TurboIMAGE, and Univac DMS-1100. In relational database management systems (RDBMS), the relationship between data is relational and data is stored in tabular form of columns and rows. Each column if a table represents an attribute and each row in a table represents a record. Each field in a table represents a data value. Structured Query Language (SQL) is a the language used to query a RDBMS including inserting, updating, deleting, and searching records. Relational databases work on each table has a key field that uniquely indicates each row, and that these key fields can be used to connect one table of data to another. Relational databases are the most popular and widely used databases. Some of the popular DDBMS are Oracle, SQL Server, MySQL, SQLite, and IBM DB2. Relational databases can be used with little or no training. Database entries can be modified without specify the entire body. In the relational database we have to follow some properties which are given below. In Each Row is alone. Column Values are of the Same thing. Sequence of Rows is Insignificant. Each Column has a common Name. RDBMs are the most popular databases. Learn here Most Popular Database In the World. In this Model we have to discuss the functionality of the object oriented Programming. It takes more than storage of programming language objects. Object DBMS's increase the semantics of the C++ and Java.I t provides full-featured database programming capability, while containing native language compatibility. It adds the database functionality to object programming languages. This approach is the analogical of the application and database development into a constant data model and language environment. Applications require less code, use more natural data modeling, and code bases are easier to maintain. Object developers can write complete database applications with a decent amount of additional effort. 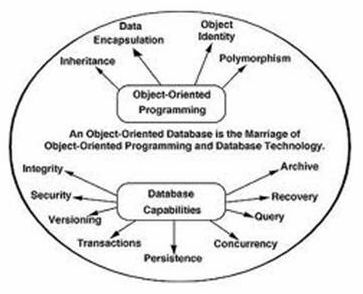 The object-oriented database derivation is the integrity of object-oriented programming language systems and consistent systems. The power of the object-oriented databases comes from the cyclical treatment of both consistent data, as found in databases, and transient data, as found in executing programs. Piece of data (e.g., sound, video, text, or graphics). Instructions, or software programs called methods, for what to do with the data. Object-oriented database management systems (OODBMs) were created in early 1980s. Some OODBMs were designed to work with OOP languages such as Delphi, Ruby, C++, Java, and Python. Some popular OODBMs are TORNADO, Gemstone, ObjectStore, GBase, VBase, InterSystems Cache, Versant Object Database, ODABA, ZODB, Poet. JADE, and Informix. Object-oriented databases have these disadvantages. Object-oriented database are more expensive to develop. In the Most organizations are unwilling to abandon and convert from those databases. The benefits to object-oriented databases are compelling. The ability to mix and match reusable objects provides incredible multimedia capability. Graph Databases are NoSQL databases and use a graph structure for sematic queries. The data is stored in form of nodes, edges, and properties. In a graph database, a Node represent an entity or instance such as customer, person, or a car. A node is equivalent to a record in a relational database system. An Edge in a graph database represents a relationship that connects nodes. Properties are additional information added to the nodes. The Neo4j, Azure Cosmos DB, SAP HANA, Sparksee, Oracle Spatial and Graph, OrientDB, ArrangoDB, and MarkLogic are some of the popular graph databases. Graph database structure is also supported by some RDBMs including Oracle and SQL Server 2017 and later versions. An ER model is typically implemented as a database. In a simple relational database implementation, each row of a table represents one instance of an entity type, and each field in a table represents an attribute type. In a relational database a relationship between entities is implemented by storing the primary key of one entity as a pointer or "foreign key" in the table of another entity. Entity-relationship model was developed by Peter Chen 1976. Document databases (Document DB) are also NoSQL database that store data in form of documents. Each document represents the data, its relationship between other data elements, and attributes of data. Document database store data in a key value form. Document DB has become popular recently due to their document storage and NoSQL properties. NoSQL data storage provide faster mechanism to store and search documents. Popular NoSQL databases are Hadoop/Hbase, Cassandra, Hypertable, MapR, Hortonworks, Cloudera, Amazon SimpleDB, Apache Flink, IBM Informix, Elastic, MongoDB, and Azure DocumentDB. In this article, we discussed various database management system types and their examples. Next reading: What Is The Most Popular Database In the World.